Roger M. Wakimoto, an associate director and senior scientist at the National Center for Atmospheric Research (NCAR) in Boulder, Colorado, and an elected Fellow of the AMS, has been named NCAR’s new director. He succeeds Eric J. Barron, who left NCAR this month to assume the presidency of Florida State University. Wakimoto will assume his new position on February 1. A geophysicist with expertise in tornadoes, thunderstorms, and other types of severe weather, Wakimoto has served since 2005 as director of NCAR’s Earth Observing Laboratory (EOL), which oversees instrument development and major field projects. He has most recently guided the development of a major workforce management plan for NCAR. 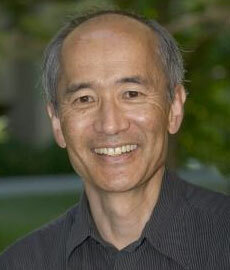 Wakimoto came to NCAR after 22 years at the University of California, Los Angeles, where he was a professor of atmospheric sciences for more than a decade and also chaired the department. At NCAR, Wakimoto oversaw a comprehensive survey of instrumentation to better serve atmospheric scientists, and he collaborated with researchers at other agencies in VORTEX2, the largest tornado field study ever conducted. His ties to the center date back to the late 1970s, when he participated in a field project as a graduate student to study wind shear, a potential threat to aircraft. He has also served on the UCAR Board of Trustees and was chair of the University Relations Committee. Wakimoto has written or co-authored more than 100 peer-reviewed papers in meteorology and has taken part in a dozen major field projects in the United States and overseas. He has served on numerous committees, panels, and boards for the NSF, The National Academies, the AMS, and other organizations. He has won numerous awards and honors, including a scientific and technical achievement award from the Environmental Protection Agency for observations of air pollution, and the Meisinger Award from the AMS in recognition of his contributions to understanding mesoscale weather events.